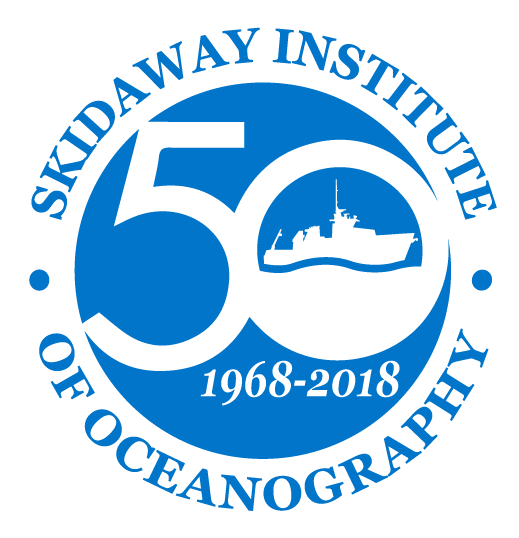 The University of Georgia Skidaway Institute of Oceanography will kick off its 2019 Evening @ Skidaway speaker series on Tuesday, April 9 with a program on the science of predicting climate and climate modeling. The talk will be the first of nine Evening @ Skidaway programs to be presented on a monthly basis through December. The University of Georgia Skidaway Institute of Oceanography will kick off its 2019 Evening @ Skidaway speaker series on Tuesday, April 9, with a program on the science of predicting climate and climate modeling. The talk will be the first of nine Evening @ Skidaway programs to be presented on a monthly basis through December. University of Georgia Skidaway Institute of Oceanography researcher Dana Savidge has been selected as a temporary program director, also called a rotator, with the National Science Foundation’s Physical Oceanography Program. The program is housed in the NSF Division of Ocean Science in Washington, D.C.
Two graduate students who conducted their research at UGA Skidaway Institute of Oceanography successfully defended their theses this fall and are scheduled to receive their master’s degrees in December.